Cinderella headlined the final night of the 2011 Clearfield County Fair. Celebrating their 25th anniversary, the band also brought along brethren bands FireHouse and Slaughter. This is exactly the kind of tour package these type of bands need to be on. Three solid bands playing their hits and a few lost gems is exactly what the doctor ordered. And the appreciative crowd gave their heroes quite a response. Cinderella really gave their set list a long due overhaul. Inserting long absent, but appropriate “Once Around The Ride”, the band really shook things up by playing their longtime closer “Shake Me” second. From there they played a few standards before digging out “The More Things Change”, complete with “Bad Seamstress Blues” intro, just like how they opened their 1991 shows with. 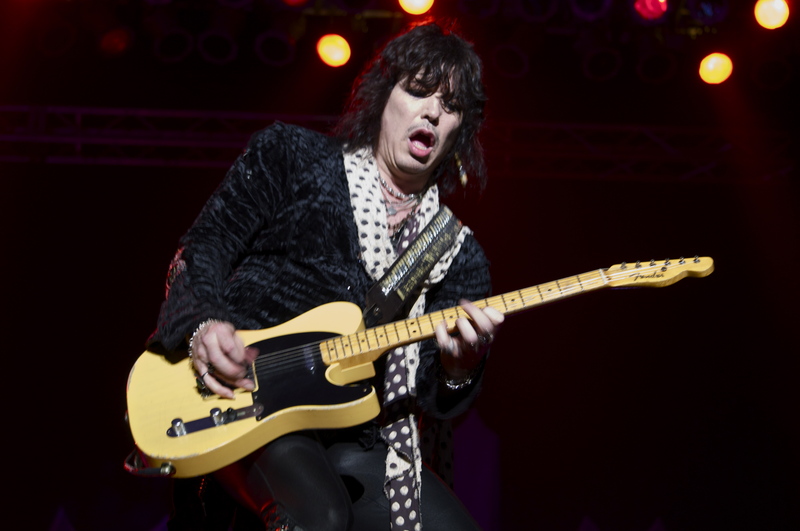 Considering all the problems vocalist/guitarist Tom Keifer has had over the years, he sounded really good. Drummer Fred Coury, was solid as usual along with rhythm partner, bassist Eric Brittingham. Guitarist Jeff Labar was perhaps the underrated hero of the night. His solid leads and great solos gave the songs their needed punch like on a fantastic version of “Long Cold Winter”. Another cool aspect was closing their show with “Shelter Me”. The past few tours I even noticed how big of a response it was receiving. Kudos to Cinderella for shaking up their set, unlike some other band also celebrating their 25th anniversary this year. Slaughter opened up with the riotous “Wild Life” and proceeded to play their big songs. “Mad About You”, “Spend My Life” and of course “Up All Night” all met with a good reaction from the audience. Slaughter now comprises of only vocalist Mark Slaughter and bassist Dana Strum from the original line-up. FireHouse started off the gala with “Hold Your Fire” which then led into “All She Wrote”. The powerhouse drumming of Michael Foster was quite evident on “Shake & Tumble”. Other than bassist Allen McKenzie, the remaining members have always remained the same. McKenzie has now been in the band for seven years and has jelled quite well. Guitarist Bill Leverty seems to have only gotten better with age as he sounded impressive. As singer CJ Snare tore through “Overnight Sensation” from their self titled debut LP Firehouse, his vocals have yet to diminish. The only strange thing people were wondering was why FireHouse went on before Slaughter. After seeing both bands I was also left wondering the same thing. Needs a little work- Slaughter needs to add different songs to the mix.